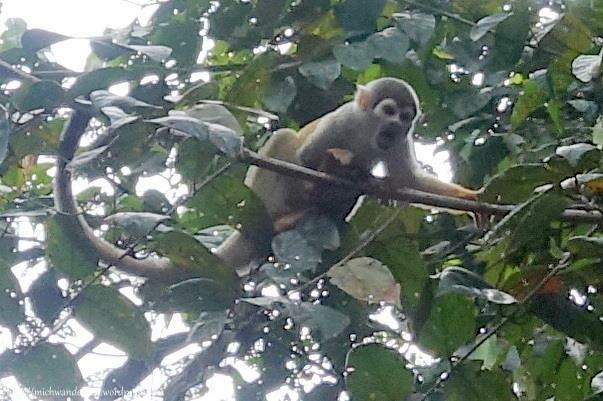 The Amazon rainforest features on many people’s bucket lists – and with good reason. 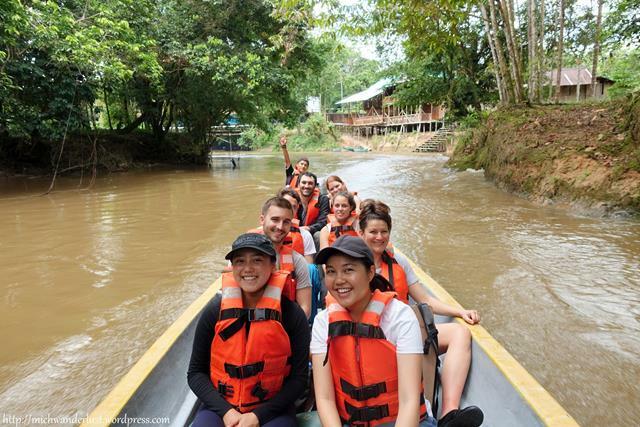 If it isn’t on yours, check out these 5 reasons to visit the Ecuadorean Amazon – maybe it’ll change your mind! 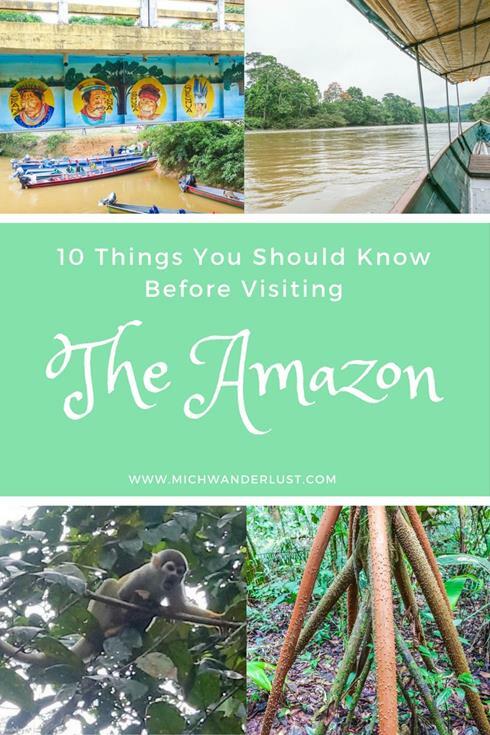 But before you start rushing headlong over there, here are 10 things you should know before visiting the Amazon. South America is generally a cheap destination. For example, in most places in Ecuador, it’s possible to get by on less than US$30 a day. But the Amazon is a different story. The cheapest lodge I’ve heard of, Nicky Lodge, costs $280 for a 3-night stay. And don’t expect anything palatial… unless this is your idea of palatial. Clean, basic accommodation. Liana Lodge is just slightly more expensive at $291 for a 3-night stay. And for a truly luxurious experience such as Napo Wildlife Center, expect to fork out over $1,000(!) for the same duration. For a more detailed comparison of these 3 lodges, check out this post. 2. You need to go with a tour. I see people asking this question in online forums a lot, so in case you were wondering: yes, you need to go with a tour. Please don’t attempt to hike through the Amazon by yourself to save money or be all “independent traveller”! Not only are you likely to get lost, you might also come across indigenous tribes who are less than welcoming towards outsiders. 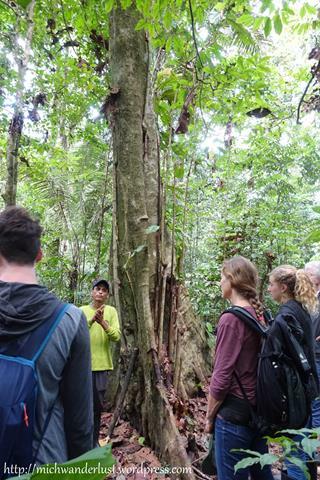 Amazon tour operators bring guests to indigenous communities that they already have a pre-existing relationship with. So the villagers you’ll see are happy to receive, and share their culture with, tourists. After all, you would hate it if some stranger was like, “Yo, I’m just gonna appear at your doorstep, stare at you and take a million pictures of you”, wouldn’t you? 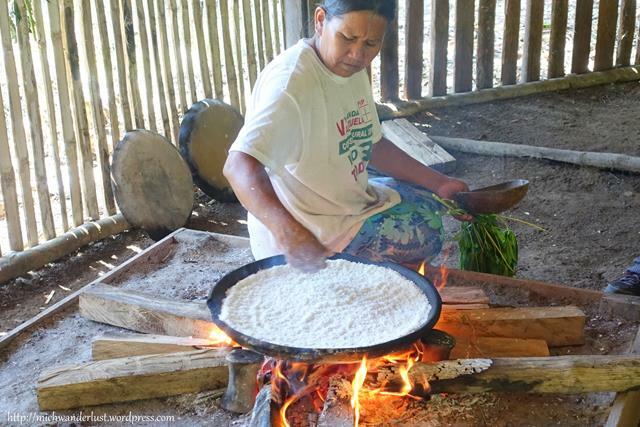 I visited a Siona community with Nicky Lodge and helped to make yuca (cassava) bread. Of course, we just provided manual labour (and rather slow labour at that! ), while the villagers took care of the parts that actually required some skill. 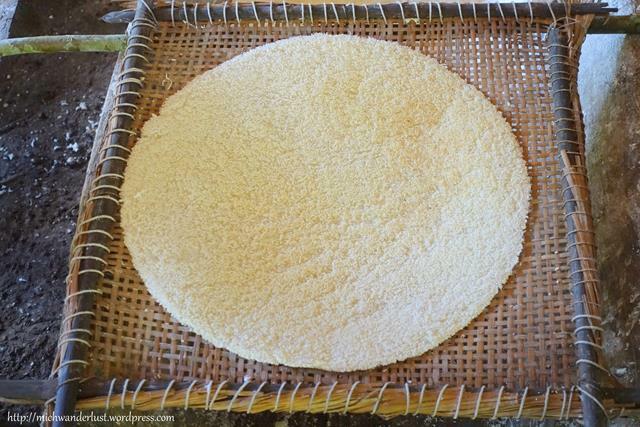 Like baking the bread (above) and straining the yuca bits (below). By the way, I hear yuca bread is pretty popular in the vegan community! Any vegans around who can attest to that? 3. Get your vaccines sorted. Visit a travel clinic to get specific advice before you go. It’s also common for people to take malaria pills, although I didn’t. 4. Most of the wildlife you’ll see will be birds and critters. Even though the Amazon’s biodiversity is the stuff of legends, you’re unlikely to spot jaguars or giant anteaters in the wild. The sheer amount of foliage gives these animals a vast array of hiding options. And you know they can hear us crashing through the forest a mile away, right? Now, I’m saying “critters” in order not to scare off some of you (you know who you are! :D). I’ve happily posted photos of gigantic spiders and other bugs previously – which you can see here. But if you’re not too fond of insects, arachnids and reptiles *raises hand* – I have good news! First, there’s an awful amount of peer pressure to keep your cool, and focus on taking the best photo ever of said creature. It’s beyond embarrassing to freak out and run away screaming when everyone else is as cool as a cucumber. Second, you can just opt out of the hikes if you know it’s going to be too much for you. Problem solved! And of course, you’ll be treated to a symphony of animal and insect noises at night. 5. You might not need to bring mosquito nets. I say this because I lugged one around with me for 9 months and used it a grand total of: zero times. Both jungle lodges I stayed in provided mosquito nets, although Nicky Lodge’s was around each bed and Liana Lodge’s was around each cabin. So I guess I could have set mine up around my bed at Liana Lodge. But I was too busy enjoying Hammock Time. On hindsight, though, I did get bitten more at Liana Lodge. Coincidence? 6. Do bring vitamin B pills and loose-fitting long-sleeved shirts and trousers. Yes, it’s hot and humid in the Amazon. You’ll feel constantly sticky. But long-sleeved shirts and trousers are your friend! Not only do they help protect against mosquito bites, since repellent doesn’t always work… or is it just me?! They also help you save on sunblock (which is inexplicably expensive in Ecuador)! It’s commonly used by Ecuadoreans as such – in fact, when I bought vitamin B pills for my trip to Nicky Lodge, the pharmacist guessed that we were going to the Amazon! You can even get vitamin B injections. But I should confess that my (totally unscientific) anti-mosquito experiment had mixed results. 7. And do bring a flashlight, waterproofs and a hat. Flashlights are great for night-time excursions. Headlamps are even better. Just don’t be like me and forget to actually bring them out on said excursion! 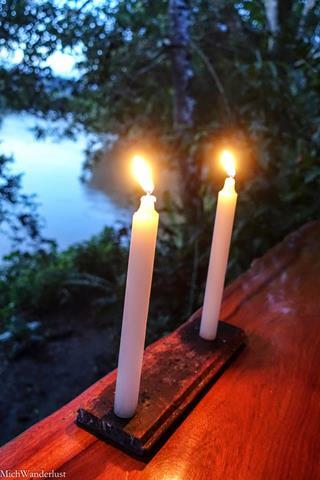 Plus, many lodges don’t have 24/7 electricity, so it’s a nice (if less romantic) alternative to candlelight. 8. Ayahuasca is not to be taken lightly. For those who haven’t heard of it, ayahuasca is a hallucinogenic brew which has been used by indigenous cultures of the Amazon for ages. It’s often used by shamans for spiritual or medicinal purposes, but there are plenty of tourists who want to give it a try. Some are after healing from traumas, addictions, etc. Others are seeking to communicate with a loved one who has passed on. And, of course, some are simply seeking a high. But I talked to a guy who runs tours in the Amazon, and he couldn’t stress enough that the ayahuasca ceremony has to be taken very seriously. For example, you need to fast before the ceremony, and you need a professionally-trained shaman to supervise and guide you at all times. Unfortunately, due to increased international interest, there has been a corresponding increase in dodgy people pretending to be shamans and offering ayahuasca. So if you’re considering it, take extreme care to make sure that you get the real deal. 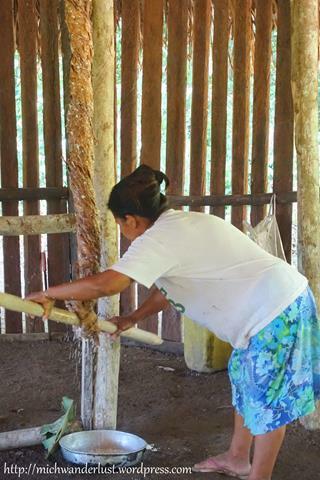 Check out this article by The Guardian for more information on ayahuasca in tourism. 9. Avoid any wildlife tourism which lets you touch animals. In certain Amazon port towns, you can “borrow” wild animals from the locals and take photos with them in exchange for tips. This should raise immediate red flags: anytime you see wildlife being used like that, you should stay away. Not only are the animals often mistreated and abused (imagine being stolen from the jungle and locked up in a cage). They can actually die from being handled by strangers. According to this NatGeo article, sloths are very docile and delicate animals. And when handled by strangers, their heart rate shoots up, which can lead to an early death. So, before you jump at the chance for a cute photo of a sloth clinging to you like a baby, think carefully. Is it really worth the sloth’s life? 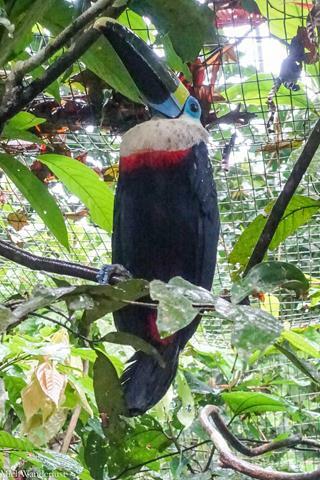 For an ethical wildlife encounter in the Amazon, a reputable animal refuge or sanctuary (like AmaZOOnico) is a great option. So if you’re considering a cruise rather than a land-based tour, you might want to plan your visit to coincide with the rainy season. 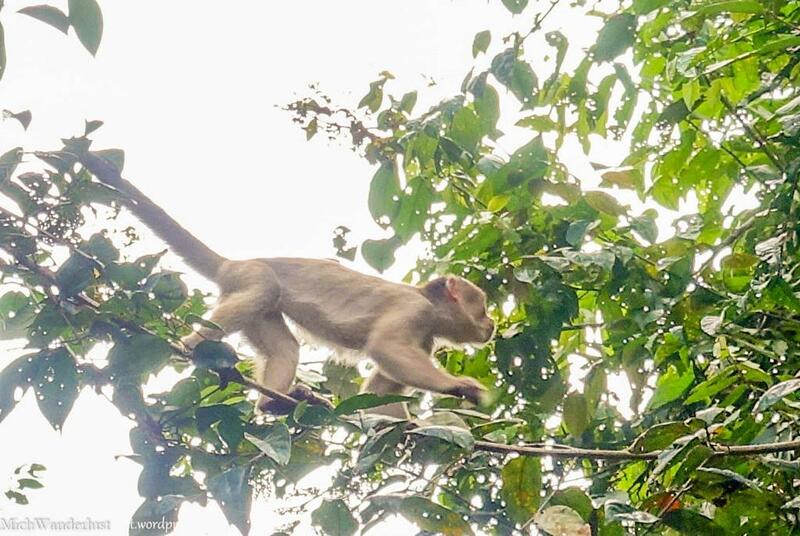 I was also told that wildlife sighting tends to be richer during the rainy season. But, to be honest, the Amazon is a year-round destination. Whether you visit in the rainy season or dry season, you’ll still get rained on. And you’ll still have a ton of fun! Have you been to the Amazon? Any other things you would add to this list? So this is a great guiide. I wish I had this before I went to Peru. I left my pills and vacinnes til the last minute and couldn’t go but next time. I also totally forgot the Amazin has seasons. And holy hannah are the rooms expensive. I mean I thoughtNew York was bad but geez. Hey Kelly – oh no! They seriously wanted proof that you had the proper vaccines? I did yellow fever but was never asked to show any evidence. Maybe they’re stricter in Peru than in Ecuador! Yeah the rooms are expensive for sure, but it includes meals, transport etc. Kinda like a safari I guess 😉 but cheaper! Thanks for stopping by, Ruth! I was honestly horrified when I read about the extent of unethical wildlife tourism in some Amazon port towns! And the guy who told me about ayahuasca had a lot of pretty scary-intriguing stories. So interesting to know that yuca bread is called casabe in Puerto Rico! Perhaps that’s how the English word cassava came about. Is it still commonly eaten there? Oohhh are you going to the Winter Olympics in Korea next year?? $200 for a mat is daylight robbery, though. My husband was in London during the London Olympics and he said the streets were really empty during that time! (maybe they were just all at the events, I don’t know). Thanks for stopping by, Max! I have a big issue with mosquito bites! I have somehow developed and allergy and now one bite turns into a rash. I never heard of taking vitamin b as an insect repellent. I am going to have to try that. I always learn something interesting from your posts! Thanks for sharing on #TheWeeklyPostcard. Thanks so much for your kind comment, Anisa! I hope the Vitamin B works for you (it had mixed results for me, but Ecuadoreans do it all the time so they must be on to something, I guess)! They have very interesting folk remedies. Some also swear by putting lime juice on yourself to prevent “zancudo” bites – they’re similar to mosquitoes, but they don’t have the courtesy to numb you before they bite you so you can actually feel it when they bite, ugh. Luckily I haven’t seen them outside of certain Ecuadorean regions haha. This is a great post. I’ve been here in South America for almost three years already but I’ve never been to the Amazon. It seems a very great place to visit. I like it when you mentioned about no touching the animals because I would also say and do the same thing. Thanks for the tips. Aww, thanks for the kind comment, Florence! Hope you do get to visit the Amazon someday – especially while you’re in South America, it’s (relatively) convenient! I know it’s a really big continent though and you could definitely spend a few more years there without seeing everything. Honestly I’m a little envious – would love to go back there long-term! Much as I would love to visit the Amazon I doubt I ever will. Apart from anything else my husband hates tours so the necessity to take a tour rules it out as a destination for us. It is fun to read about it though. I enjoyed your post. So many good tips in here! I would not have known any of these and I’m shocked to hear that the Amazon is expensive! But I guess it’s a good thing to prevent billions of people from going! Nice to hear that all locations provide mosquito nets! Thanks for linking up with #TheWeeklyPostcard! Yep, I think the high price is partly due to all the logistics involved (they need to bring in food from the nearest city, and provide meals + transport for the guests) but I also wonder whether they’re going for the Galapagos style of tourism, where visitor numbers are deliberately kept low to reduce the environmental impact. Mosquitoes are the worst, aren’t they! Glad you enjoyed the post, Lolo! Great travel tips for the Amazon. 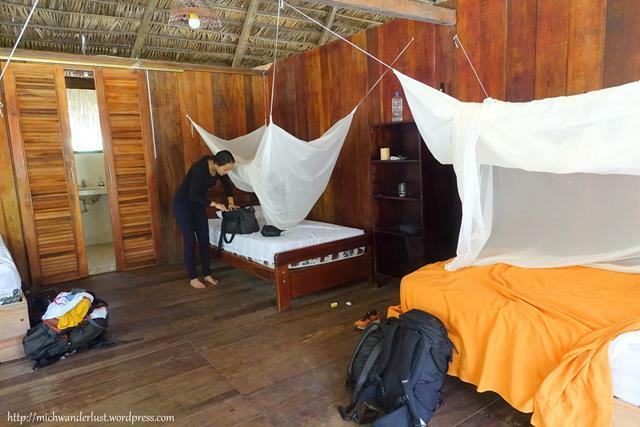 Quite surprised that accommodations don’t provide mosquito nets – you would think that should be standard. Hey Sally – glad you found the post useful. I think most (if not all) provide mosquito nets – at least, the 3 lodges that I wrote about previously all do. It’s probably just a question of whether they’re over the bed itself or more generally around the room – the former is, of course, more effective, but also makes you feel more stifled (or it could be just me, haha). Thanks for stopping by! There were a couple of people in my group who were afraid of spiders, but they just stood at the back of the group and took care not to get too close. Nobody freaked out 😉 Let me know how your Vitamin B experiment goes! I had mixed results, so I’m definitely interested to know how others fare – I’m a mosquito magnet too, sadly 🙁 Thanks so much for your kind comment, Mae Gene. Glad you enjoyed the post and hope you get to visit the Amazon someday! We have really enjoyed your posts from the Amazon. It’s such a large place, and there are so many “dangers” that we’ve always heard about, that it can seem quite intimidating. But your photos and stories paint pictures of amazing people and cultures – which is what we need to remember is at the center of travel. Add the beautiful landscapes (or river-scapes!) and the occassional animal, and it’s such a fantastic destination. Thanks for making it a little less intimidating. 🙂 And thanks for sharing on #TheWeeklyPostcard! Thanks so much for your kind comment, guys! Really glad to have helped show a more appealing side of the Amazon to you, haha. It’s easy to get put off by horror stories about a place and never hear about the other side of things! And yes – so true that the centre of travel is all about people and cultures (and the odd beautiful landscape) 🙂 Couldn’t agree more! I’ve not yet been to the Amazon, but these tips are brilliant!